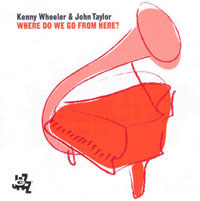 Kenny Wheeler/John Taylor: Where Do We Go From Here? Pianist John Taylor is an unforgettable presence on several of trumpeter Kenny Wheeler’s classic albums. Where Do We Go From Here? 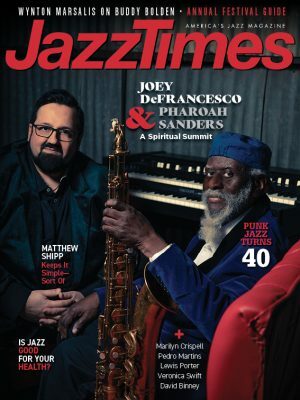 (CamJazz) features the two in a duo setting-a step as logical as it is rewarding. Recorded in Italy, the album doesn’t do full sonic justice to these masters. The signal distorts in places (particularly on some of Wheeler’s entrances), which is a problem with music this naked and unadorned. That said, the two display a rare chemistry on seven Wheeler originals, two Taylor pieces and an opening run-through of Dubin and Warren’s “Summer Night.” Highlights include the muted, guitarlike arpeggios that Taylor uses to open “Canter N. 1,” the forceful 6/4 rhythm and complex unison lines of Taylor’s “Dance,” Wheeler’s overdubbed brass-choir effect on the out chorus of “One Two Three” and the straightforward lyricism of the title track.